Because we own our own cows and plant, we can ensure the highest quality milk products for your family. Our standards for production and service are the highest available. Our cows are carefully fed and monitored to ensure their health. Our livestock are robust and we don’t use any supplemental growth hormones (BGH). 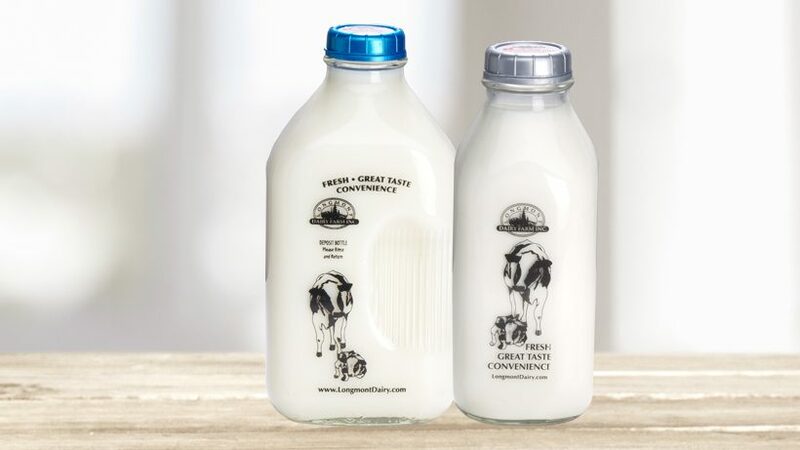 We milk every day and deliver it directly to you the next morning. Our milk lasts longer and tastes better. Available in 1/2 gallon and quart sizes. Whole, Reduced Fat, Low Fat and Skim. Learn how to make your own cheese using Longmont Dairy milk.